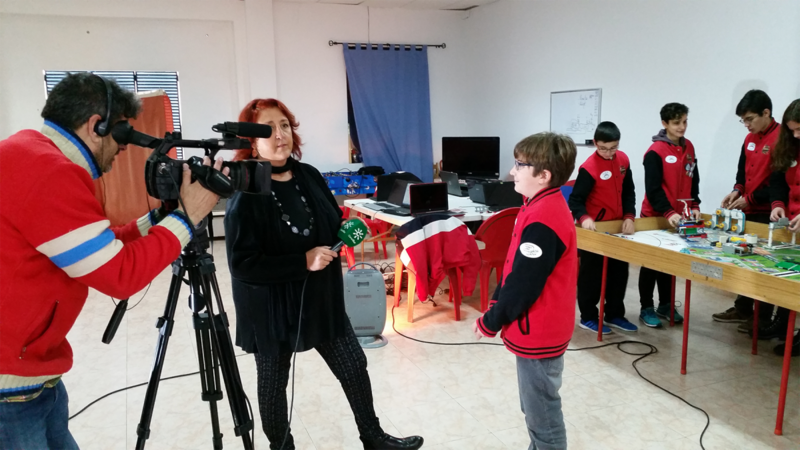 Today Canal Sur Televisión has visited our workplace and has interviewd us. We thank you for your interest in our work. Again to the final, thank you! Yesterday we won the Robot behavior awards and the first prize to the winner. 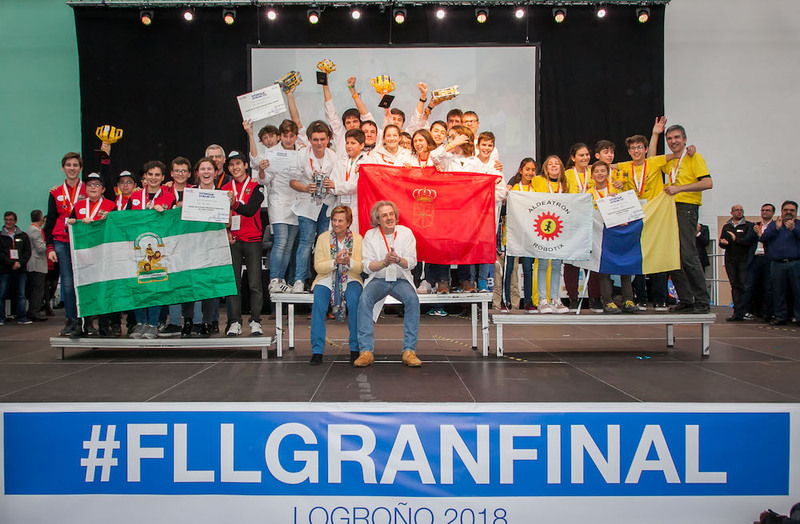 For the second consecutive year we will be in Logroño representing FLL Sevilla. We are very proud and we are very grateful to all those who have supported us to make this dream come true. THANK YOU VERY MUCH. 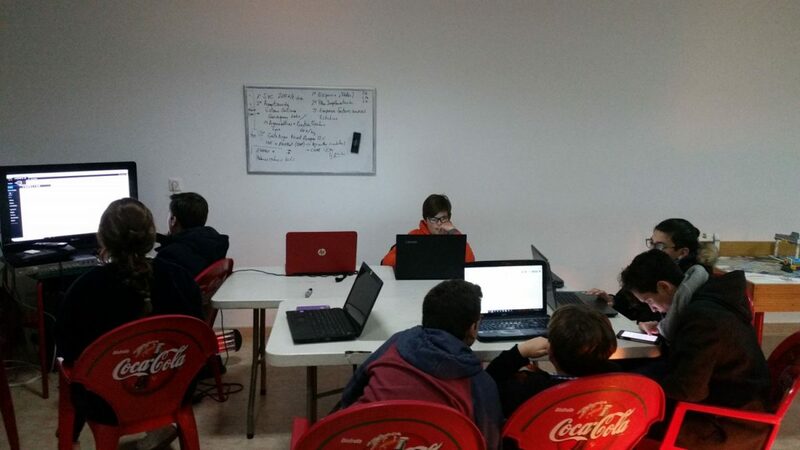 Today is our last day of training before the end of the FLL17HD, there is an atmosphere of nerves among the team members but above all we want to relive the experience of competing, we are doing the last robot tests and reviewing the project. We have new elements for the presentation although one has broken but we hope it will be solved soon. It is nice to see that even if no one is completely in their right mind, the camaraderie and the group identity are more existing than ever. We strongly hope that everything goes well in the competition but above all we are clear that our goal is to enjoy the moment. We thank all the people who have supported us. 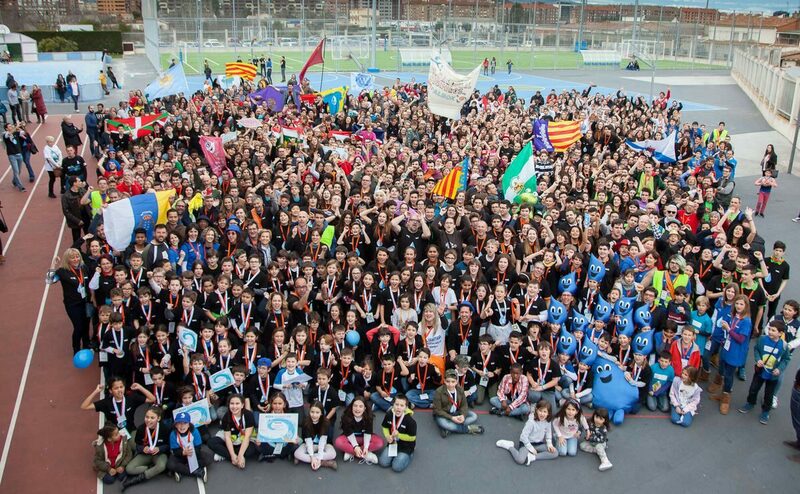 After winning the Prize to the Winner in Seville, on March 9th we headed towards Logroño. We arrived at the hotel at 12: 00h and, after visiting our rooms, we all ate together on the terrace of the building. 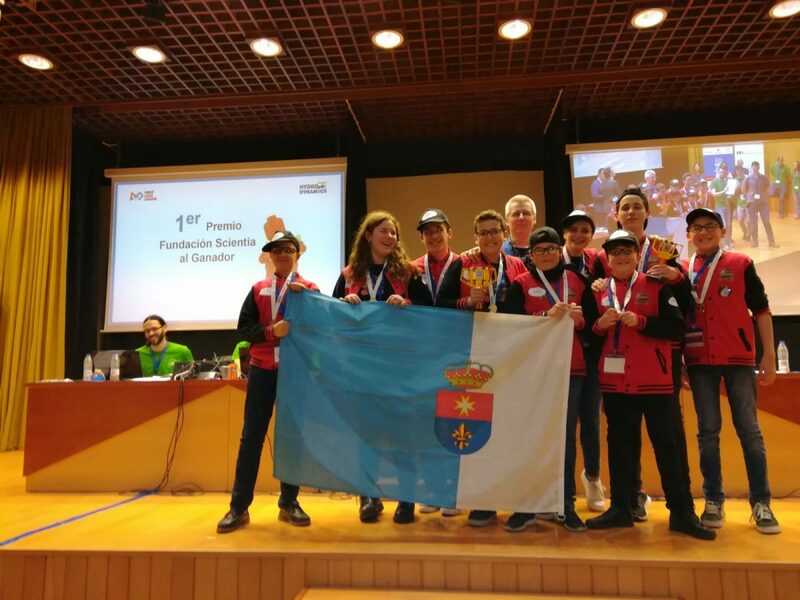 Later, we contacted another team, Invictus Lego, who we knew from last year and who was attending the final again, and we met in the center of Logroño. After a long time with them, we returned to the hotel to rehearse the presentations, and of course, we went out to enjoy the wonderful cuisine of the city with our parents. On Saturday morning we left for the San José de los Maristas School, where the event was held. At nine o’clock in the morning all the teams were heading towards our PIT, and later we attended the opening ceremony. Just after that, the test round of the robot game began. In the PIT we agree with Hydrobots, Arobot Nano and Waterbots, with which we get along very well. After making the first rise to the table, we went to eat. And just after we present the scientific project and the values. We were quite satisfied with how we made the presentations, and above all, with the group dynamics. Then we went up to the table for the second time, we got 240 points, which then positioned us in the tenth position of the Robot Game. After a long day, we went out to dinner, although afterwards we ended up in a karaoke! That night we “all slept” in the same room, and put it in quotes because we barely sleep. On Sunday we went back to school, and before going up to the table, we made a conga with many teams, dancing Macarena and Movimiento Naranja! Then we compete with the robot for the last time. That was when the closing ceremony arrived, and before entering, we met the 8 Andalusian teams and sang in unison the Andalusian anthem. They began to deliver the different prizes to the participating teams, the nerves increased. When they had delivered the first 22, we were disappointed. Only the three Winner Prizes remained, and we did not think we would get one. They began to give the third, it had access to the Open Invitational Central Europe, to be held in Debrecen (Hungary). They were going to say the name, there was a drum roll, and suddenly, Tecno San José! We had been third in Spain! In none of our approaches would have occurred to us to enjoy a season like this. If the season has been incredible, the national final that we enjoyed yesterday was unimaginable, but now we have two months to prepare for the Hungarian tournament. Last night we arrived home very late, so in another time we will publish a longer entry that will tell us all the experience, the photos, etc. We already have the campaign open, from € 5 everyone can contribute with the travel expenses. 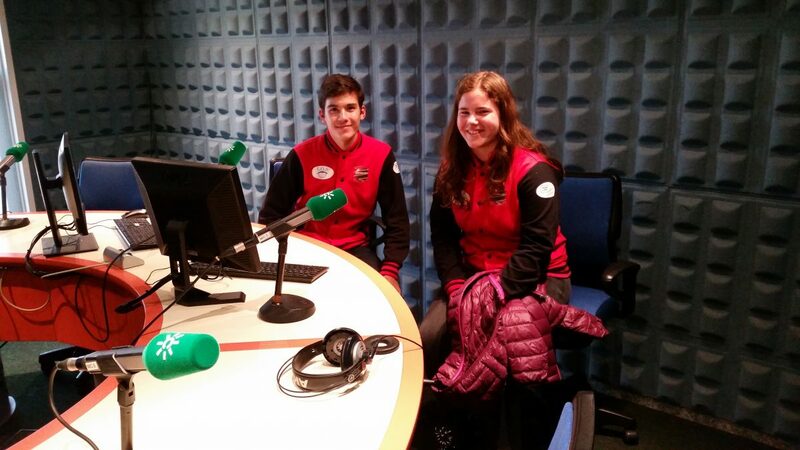 Today, two representatives of the team (Claudia and Pablo) have attended an interview that Canal Sur Radio gave us and it has gone very well. On Tuesday 27 will come to interview our “experience laboratory” (the garage where we train). Meanwhile we continue working for May, the date of the contest. We thank Canal Sur for being interested in our team and as always we are very proud of ourselves and what we have achieved.